Clannad is an Irish musical group from Gweedore, County Donegal, Ireland. Their music has been variously described as being folk music, new age, and celtic. Clannad are M?ire N? Bhraon?in (Moya Brennan), Ciar?n Brennan, P?l Brennan, Noel Duggan and P?draig Duggan. Eithne N? Bhraon?in (Enya Brennan), M?ire's sister, used to be a member of the group in the early Eighties. The band won a Grammy Award in 1999 for Best New Age Album. Clannad, whose name is taken from an Clann as Dobhar meaning the family from Dore, was formed by the Brennan family in 1970. M?ire, Ciar?n and P?l Brennan joined uncles Noel and P?draig Duggan and began performing in their father Leo's tavern. M?ire's sister, Enya, joined the band in 1979 and left three years later to pursue a successful solo career. M&aacute;ire has also enjoyed a simultaneous career as a solo singer, starting with her 1992 album entitled M?ire, and recently altered the spelling of her name to Moya Brennan. Harry's Game, the group's theme song for a television thriller, prominently featured in the film Patriot Games, was also used in a commercial for Volkswagen in 1992, and won Clannad newfound popularity in the United States. Another hit was the 1985 song In A Lifetime with Bono of U2. Their song, I Will Find You, is part of the soundtrack for the 1992 film The Last of the Mohicans. The mega-selling album Lore (1996) also gave some thought to the Native American Indians. On Trail Of Tears Noel Duggan imagined how it felt to be exiled from your ancestral land. He was also thinking about these people and their connection with the Irish. How for instance, these distant American cousins had sent money to Ireland during the potato famine of the Nineteenth Century. Their Grammy in 1999, (their third nomination) was in recognition for the Landmarks (1998) record, which was once again sited in the heartland of Donegal, shaped by the mountains, the glens and the sea-lashed shores of Gweedore. In Of This Land Moya sings about Ireland, of its past and of its future. The track Fad&oacute; translates as "Long Ago", which once again demonstrates the influence of old Celtic history on Clannad's music. In 2003, Clannad released the best of album, In a Lifetime, which is one of their biggest selling albums to date. Clannad have gone from strength to strength, and from their early days have created a massive fan base. The youngest of the siblings, Moya's (M?ire's) sister and goddaughter, has just begun her road to Brennan success, her name, Br?d?n Brennan. In 2008, Clannad again began touring, beginning with a UK tour in March. Later on this year they will tour Ireland and Dubai. Moya will also tour in the Netherlands, Ireland, USA, France and Holland. Clannad's Noel Duggan in March 2008 released the band's official biography, 'Moments in a Lifetime', which includes many unseen photographs, and the band's latest (15th) compilation 'Celtic Themes' was released a few days later. 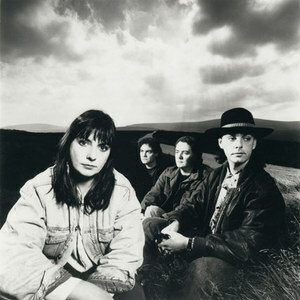 Clannad have announced a new 'unplugged' album for 2009 or the beginning of 2010.